This is a pinterest swap, meaning that your fellow raftsters will claim you for something you have pinned on your pinterest site. If you don't have a pinterest but are interested, go here www.pinterest.com to request one or PM the organizer your email address to request an invite. If you are late in the August swap, please do not sign up until you send. You will not be accepted. AuntieKar --> deathbeforedishes for travel pillowcases for 2 princesses! stephfro23 --> casey1201 for an item from her "art" board and one item from her "paper" board. jexxican --> AMIFRIENDS for some Hoop love! AMIFRIENDS --> SMASHU FOR A HOOPLA "THE LITTLE PRINCE"
Hey everyone! I'm Jessie. I live in Roswell, NM, USA. I am a wife to a nerd and a SAHM to a 5 year old boy, 2 year old girl, and a 6 month old baby girl. They all love to get stuff in swaps as much as I do so note how those links go straight to their boards. Need info for sizing or anything just ask! I'm thinking I would really like some stuff for them to use for Christmas presents/stocking stuffers. As for the whole pinterest thing: All of my boards are open to interpretation, though I would really not like anything from the "If I wore jewelry" board because I really don't wear jewelry, though like I said, feel free to be inspired by it. The same with my "art" board, really. I don't have a lot of wall space, though I do have a hoopla/small art wall so feel free to make something for that. I prefer function to form. I would really rather get something that is inspired by something on my boards rather than an exact duplicate. Supplies are cool, but I am kind of trying to destash a little. Except my fiber. For some reason I'm trying to build a stash there, so if you want to send me something from my "Fibery Awesomeness" board you would be my best friend. "Supplies" off of my "Books" board would be super., too. Colors and tastes: I wear a lot of blue, but like purples. Relaxing they are. I also really dig fall colors, being a redhead and all. I already mentioned I'm pretty eclectic elsewhere. I'm not usually very girly. Russ is all boy and LOVES orange. Alice is a girly tom-boy. My husband is straight up nerd. I think that's all there is to us. My name is Casey and I live in Colorado with my fiancee and our three fur kids. I work for the Humane Society as an Animal Welfare Officer and it is the most rewarding yet sad job. I am open to whatever you want to create from my boards. I think the only one that I wouldn't want something from is the "Things I Have Made" board. I love aquas, teals, yellow (mustard to pale). If there are any pins that say they are for someone, I am ok with you crafting those too. Helps me out during the holidays! Feel free to craft for the fur kids too, "Dahlia" is a female Belgian Malinois, "Rocky" is a male Miniature Dachshund and "Daisy" is a female Miniature Dachshund. They are my little adopted kids Let me know if you need any sizes or anything for any pins! Thanks for claiming me! Hi! I am a mother of 2 wonderful daughters, ages 5 and 6. I live in Indiana, USA; though I am originally from California. I will love anything you make for me. I love the color peach and I love rainbows. I cannot knit and I don't machine sew very well, so receiving anything done in those mediums would be awesome. I love hats! I'd love the one on my Peachy Goodness board... I'd love anything knitted or crocheted really. So, no rubbing bunnies on what you make. I am open to receiving crafting supplies as well. Be inspired or make me a replica! It's up to you! Hi! I’m Ash from Ontario, Canada. I’ve recently graduated with my Masters and just about to start working as an apparel designer after being laid off so I’m pretty excited. I also do costume design in any other spare time I have. I live with my sweetheart who appreciates but is not craftily inclined himself (something I think will eventually rub off on him, he learned to hand sew this Christmas!). I’m hoping to use this swap to get some pretty things for myself (especially if I can wear or use them at my new job) and help reduce my Christmas present list for all my lovely family and friends. Colors I like: black, saffron, mint green, greys. Reds and purples, generally bright colors. Vintage palettes are great although I generally stay away from light pinks or yellows which clash with my pale complexion. Right now love anything tentacles, foxes, things related to such geekery as adventure time, venture bros, studio ghibli, harry potter, doctor who. In general love fairytales, fables and horror. If you want any measurements at all, just PM me and I can give them to you! I’m fine with upcycled materials, sustainability is an interest of mine and I love vintage! For my boards, stick to “WANT!” [mostly stuff for me] and “Swap Ideas - Xmas” [mostly holiday décor wishes in Nightmare Before Christmas / Adventure Time themes and presents for friends and family that I would love to receive!]. I don’t need duplicates of what I’ve posted. 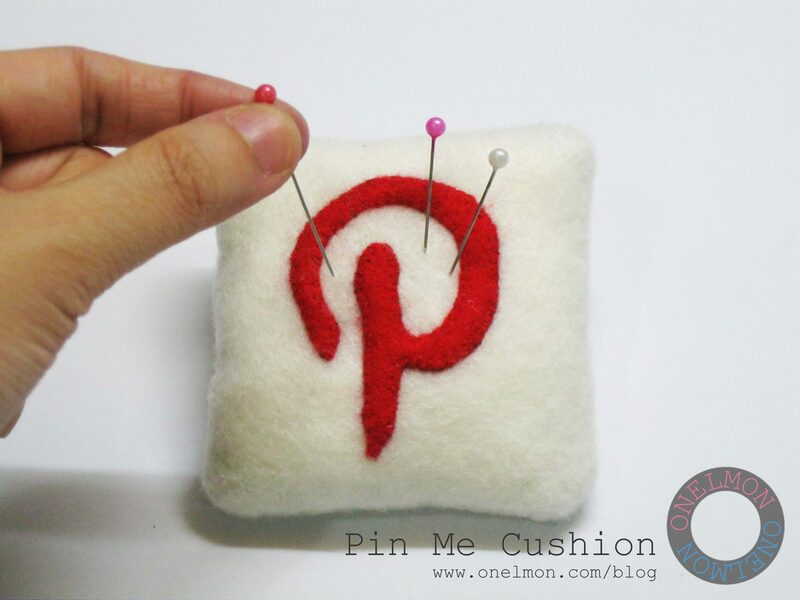 If you feel inspired by a pin, use your imagination! I don’t have a supply claim. And the fun stuff. I’ve got a lot of allergies! Smoke, perfumes and synthetic scents, cats, gerbils, certain plants, moulds, certain metals (I’m okay with sterling silver or gold). With the metals, it isn’t severe and if I know something will be rubbing against me that I will react to I can clear nail polish on it, problem solved. I also have a bunch of food allergies such as derivatives of corn, wheat, dairy, mustard family, grapeseed oil, anything fermented. Don’t let that scare you off please! Ola! My name is Bree and I live just outside of St. Louis, MO. I am a graphic design student and employee at my local college, I am a mother of a 1 year old little girl, and a girlfriend of 4 years to a wonderful man. I don't have a particular expertise, but I learned how to crochet this year, although I'm still really slow at it =X. I absolutely cannot sew, neither by hand or with a machine. I just dont have the patience. I would love some sewn items, and I have a whole pinterest board worth of items for it. I would also love some stuff for my daughter, she has a bunch of boards just for her and her (pending) bedroom. I am a slight nerd and I am obsessed with Firefly. My pinterest can either be interpreted losely or strictly. You can use your best judgement =). And Likes: I like stripes, india inspired designs, shabby chic, floral, lace, and antiqued designs/styles. I like bold, dark, jewel, and fall tones. I can never get enough of brown! I like all metals. Owl anything! Lavender, Hippy, and Coffee scents. Turquoise (the mineral, not particularly the color). And Dislikes: Hotpink, reds, and purples. Fruit scents and minty scents. Anything super girly (unless it's floral or lace). Butterflies, polka dots, asian influences, dragonflies, cartoony flowers, pretty much anything that goes along with that "peace, unity, and love" trend. Although, I DO enjoy tie-dye in dark colors. All my boards are fair game aside from the swap fullfilled/recieved boards (even the xmas one has a green light, if you feel in the mood), as I made that pinterest for the sole purpose of using on craftster as a wishlist. =) I also have a "Gifts" board so feel free to help me with those as I have a lot of family that need a lot of gifts. (it's pretty much all crochet, as that is the only "big" thing I can do, but I'll attempt to add other stuff) Also, I prefer not to get supply packages, unless it's yarn. I love yarn. And as a first, I have NO allergies. Although excessive cat hair tends to get me stuffie, so don't send me any balls of cat hair =D. Also, if you are a smoker, that doesnt bother me as I am also a smoker (I like pointing that out because smokers are minimal on this website and its always a relief to me when I don't have to be obsessive about washing my hands every time I smoke. haha). Hi! I'm Karly, and I'm from Grand Rapids(area), MI. I live with my hubby, and currently my parents as we are between residences. I am a Bus Driver, and after-school teacher for a local daycare/pre-school, and I love to craft (duh!). I have a 9 y/o step son, 2 nieces (one is 3, one is 2), and at least one nephew on the way (in Oct.) with another baby niece/nephew coming in March. My Hubby and I love the outdoors, sports, movies, and gaming. We are geeks, and proud of it! My Pinterest www.pinterst.com/mrshoss is full of goodness. All boards are fair game, except for Future Home, Someday Baby, and For School....as we have no baby, no home, and I do the school stuff at school. Feel free to be inspired, as I don't expect exact replicas. I would love help getting gifting started for Christmas, and if you need any sizes, feel free to let me know. I'm super excited to be a part, and will love anything you send! Craziness and Craftiness are synonymous, right?! I am mom to a giant boy who has just come to school at the university where I work. My job is to provide "cultural activities" for students who have come to Canada to learn English & it suits my absolute love of learning about other cultures perfectly. My current obsessions include playing roller derby (go Niagara Roller Girls! ), all things crafty, spending time with family & friends, and relaxing with a good book or movie when I have some spare time. Which is almost never haha. I am allergic to dust, mold & cigarette smoke, but don't think that those things should really affect what I receive... I don't have any pets at home, but often spend time/craft at my SO's house and he has a cat. All boards on my pinterest are fair game and supplies are great Boards that will probably be easiest to claim from are: "I want these things. Bad", "Decor Ideas", "Things I want to make (or have made) for me", "Crafty Supplies I need" and "Jewelry". I love blues above all but like most colours except for pastels and neons. I love bracelets, earrings & necklaces and silver is my preferred metal... Hand stamped charms are amazing, if you ask me. My apartment is sadly boring when it comes to decoration... You know that place you decide to live 'for a little while' and don't really make it home? Well, I've been there 4 years now... Think some wall art or hoops to start a hoopla wall would be pretty awesome. I love trees, words & quotes, birds, books, silver, retro/pin-up images... There's really not much I don't love. Hello, I'm Perla and i'm from Mexico . I love crafting since Ever! My favorite colors are pink, turquoise, teal, rainbow colors, purple and lime green, i don't like neons. I'm not alergic to anything so, happy Crafting!! !